Last week I picked up a package for the girls at the post office. It was belated Christmas gifts from my Bong Fong Fong and family. The Phi got the coolest owl knit cap and an owl board game! So perfect. But Lou's gift! AMAZING!! 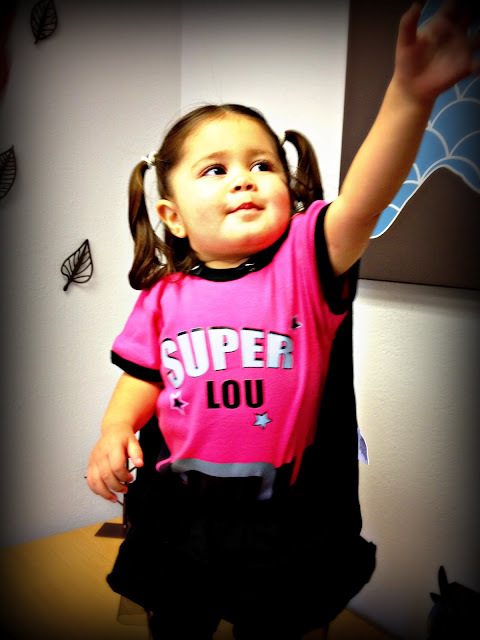 Perfection for our little Lulu! 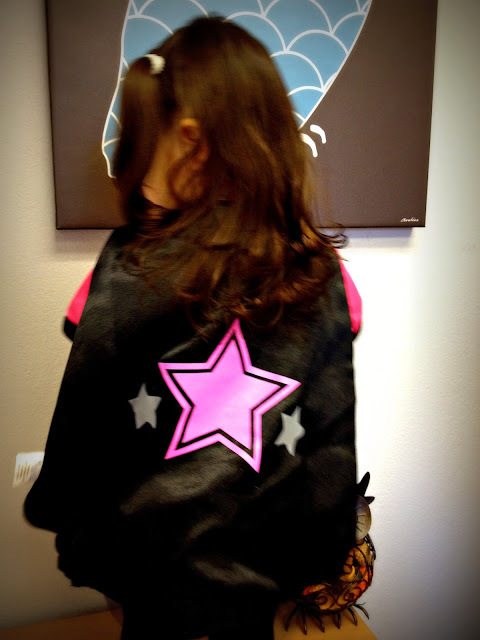 And no superhero is complete without her cape! Thanks Jessica, Rick, Elias and Lucas. We love you and miss you all! Super cute! I want one with "super Lu"